Happy December, friends! We are exactly one month away from 2014 being completely over, and what better way is there to celebrate a fantastic year other than offering my wonderful 2014 clients the BIGGEST SALE I have ever had! Besides sandal wearing weather, this is the most wonderful time of the year, and the best time to reflect on a blessed year of love. We live in a digital age, which is wonderful, but so many of us (me included) don’t find the time, energy or money to print our pictures! What good are our pictures for our future generations, if they are only on a USB Flash Drive or up in the cloud? 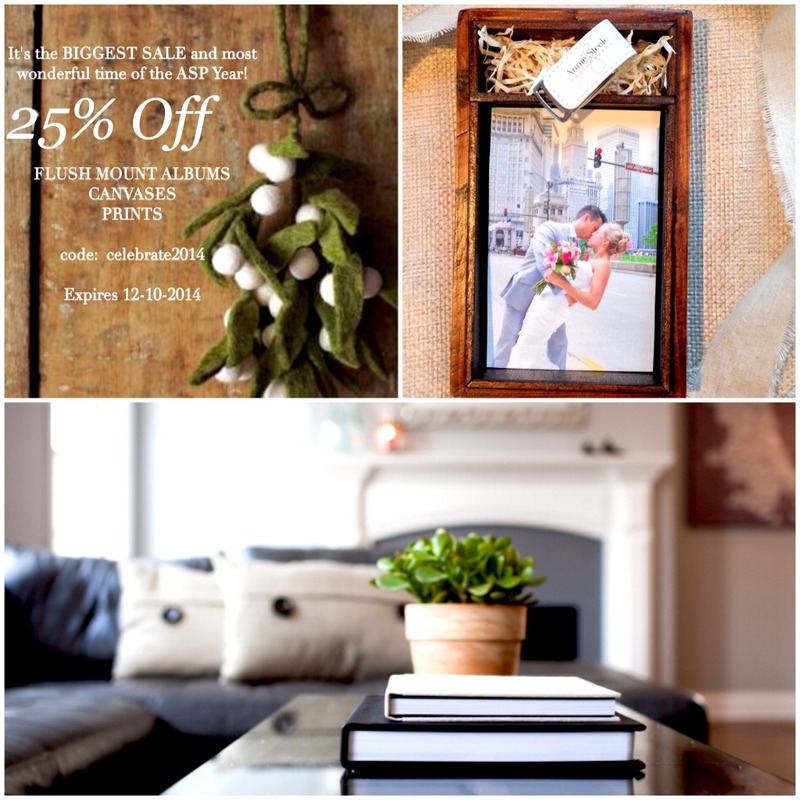 For this reason, we are celebrating Black Friday, Small Business Saturday, and Cyber Monday from now until December 10, 2014 with 25% OFF Professional Flush Mount Albums, Professional Canvases and any and all size prints! This is the perfect reason to have your professional pictures printed for you, your family, or as a gift for a loved one who doesn’t need another sweater or scarf. Ooohhh… and feel free to share this coupon code with friends and family! Looking to spread HOLIDAY CHEER with HOLIDAY CARDS? If you are looking to order HOLIDAY CARDS with your digital prints, unfortunately, I am not offering holiday cards this year. However, my friends at Minted offer beautiful creations (all by extremely talented artists) that do a fantastic job (the foil options and free addressing to your friends and family are my favorite); use this LINK to save $25.00 off your $50.00 order… enjoy! *You do not have to be an ASP client to use the code above!